Abstract: The heterogeneity of ALK tyrosine-kinase inhibitor (TKI) responses poses a puzzling question to clinicians. Different variants of ALK rearrangements might be one of the mechanisms explaining this phenomenon. Therefore, identifying specific fusion forms is crucial to clinical practice. This case report assesses the clinical efficacy of an ALK-TKI in a new ALK-rearrangement variant. 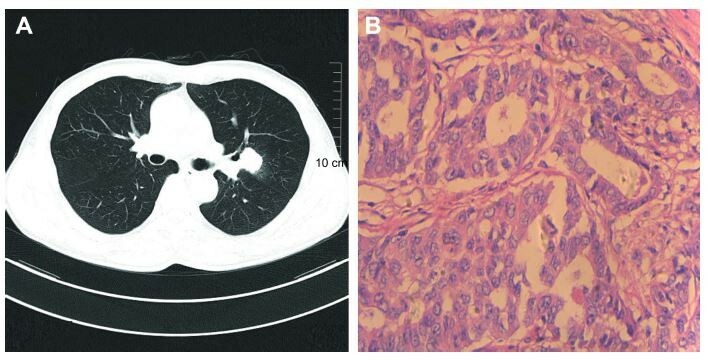 Next-generation sequencing was performed in tumor tissue of one lung adenocarcinoma patient, and one new fusion form of an ALK rearrangement (NCOA1–ALK) was identified. This patient had progression-free survival >18 months with crizotinib treatment. Our findings provide valuable information about responses to crizotinib in patients with this form of ALK rearrangement and better understanding of ALK-TKI applications.